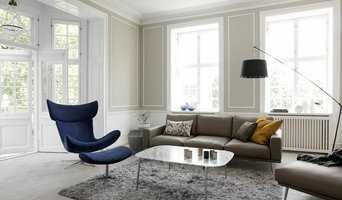 BoConcept Manchester is a great furniture store offering the latest within modern interior design and accessories. Visit our store today to meet our skilled team of interior designers who will introduce you to all the possibilities for customising the contemporary modular designs and help you decorate the home of your dreams! BoConcept is the brand name of Denmark's most global retail furniture chain with more than 340 sales units in more than 50 countries around the world. We offer customised, coordinated and affordable design furniture and accessories. Customised because our products can be fitted to the needs and dreams of our customers. Coordinated because we take a holistic approach in the development and design of our product range. Design because we are a design company with our own designers. Affordable because we want to spoil our customers by giving them great value. Providing Interior Design services for real homes and businesses. I love meeting new people and hearing about a new project, you just need to say ‘Hi’ first, then we can get started on creating something special. Every project is well considered, from a total refresh, to starting with pieces you already treasure; working together to fine-tune your ideas and show you some new ones. Then it’s the design where the magic happens, I imagine, source and hopefully inspire! On-site styling is then the finishing touch; visual harmony, problem-solving, support and attention to detail. Aiming to amaze and delight; it’s what I like doing most and what I'm great at. With a decade of styling experience, including having previously worked in the world's most luxurious stores, I have the skillset, creative know-how and imagination to make it happen. From the initial concept through to the completion, my passion lies in transforming the way my clients use their homes. I believe each space should be based around the way you use it, whether for family dinners, shared hobbies, relaxation or entertaining friends. Whether you'd like to create a space for the whole family or design your dream house to see you through retirement, I will tailor the process around you. I look forward to helping you turn your house into a true home! Hannah Barnes Designs has been established for 15 years, built from a passion for design and creativity, functional space and that essential personal touch. We are regular interior design contributors to both InCheshire magazine and Prestbury Living magazine. Hannah studied Art & Design and Interior Design for several years and her qualifications include Diplomas, City & Guilds Awards and proven Excellence in Customer Service, as demonstrated by her testimonials. Hannah was also asked to be a Guest Demonstrator at The Ideal Home Show in Manchester and Leeds for three years running. She devised short demonstrations on many aspects of interior design and DIY, dressing the Interior Design Stage and Room Sets to help visitors see the potential in their own homes. “My passion is to create your ideal environment and leave you with a space you’re happy to come home to, excited to show off and proud to live in. Contact me now to arrange your free interior design consultation!" Formerly known as The Design Practice we create award-winning residential and commercial interiors for all manner of styles, scale and locations at surprisingly affordable rates. Every one of our many exciting residential projects - whether they be local room makeovers or lavish overseas new-builds, are serviced with the same team's ability to interpret your individual lifestyle and needs and surpass your expectations. We are highly regarded for our thoughtful space planning, quality of execution and delightful details (and possibly the odd talking point surprises too). What's more, our fees and savings are surprisingly affordable. 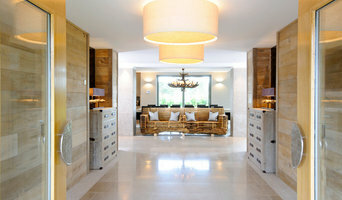 Gail Marsden a Cheshire based interior design consultancy born out of passion for design. Formerly retail editor for Vogue and House & Garden, Gail creates refined, chic spaces. As Interior Spatial Planners and Designers we "Fine Tune" the layouts to suit our client's Lifestyle. Our experience also allows us to anticipate the styles and finishes needed to create a seamless flow through a building, enhanced and brought alive by Lighting and Decoration. Our company has vast experience to take on a full range of projects from planning to completion: Listed buildings, Dockside Apartments, Garden rooms, Design & Build or single rooms. Over a number of years we have built up a nucleus of bespoke specialists and suppliers, all with a proven track record of working to the highest standards and who understand the Designer's objectives to deliver the quality synonymous with prestigious, individual residences. We approach all our assignments in a different way, and our clients are assured a careful focus and great attention to detail from start to finish. It is not about ‘our’ style but about each client’s individual personality. We are able to offer a unique interior design service to suit any budget. Our strength is the ability to understand client’s needs, tastes and wishes and completely transform any area of living space. No space is too small! We can work from simply redecorating to full re-styling and renovation - including furniture upcycling. The service is also available for commercial premises. Complete design, refurbishment and decorating service providing a designer look at an affordable price. I am qualified in both fields of Interior Design and Painting and Decorating and my husband, John, has similar traits to me and together we can assist you to create the home of your dreams for the price in your dreams. Our combined and varied skills mean that we are able to adapt items to your requirements, where possible. We love a challenge and the satisfaction of making you happy in your home. Our one stop shop approach is popular, because it cuts out any friction between designers and tradespeople, creating a stress free environment for you. Call us now to arrange a consultation! Lived In 365 is a Manchester-based Interior Design studio creating beautiful spaces that are enjoyable and practical to live in. Whatever your budget we will work with you to create a design with personality that perfectly fits your lifestyle. Our services range from online design concept through to full project management of your scheme from start to finish and we tailor our package to suit your needs. As featured in 25 Beautiful Homes magazine. Winner of the Build Awards Best Interior Designer Greater Manchester 2018. Based in Old Trafford clients trust me because I understand good design and how to realise it at favourable prices. I know how to get high end results at surprisingly reasonable rates. Getting the right look to a room can be challenging but is always achievable with the right know-how. I have links across sectors that take the stress out of creating the perfect interior and you can follow me on Instagram to see my style. It's important to feel comfortable with the person you chose to design your rooms because if that relationship isn't right then nothing will work. You will be working directly with me on all aspects of your project and I am always available to bounce ideas off and discuss details with. As far as I see, you are the creator of your interior and I am there to guide you and realise your ideas on your behalf. I am happy working with total residential and commercial renovations alongside light touch make overs. Contact me and we can have a chat about what suits you. There are a variety of options open to you when it comes to project management. You may chose to leave me the keys once the details have all been agreed on what we are going to create, and then I will update you as we reach milestones. This works well for first time buyers that don't need to live at the property yet and equally for investor buyers looking to create an appealing rental proposal. Others enjoy the process of being a part of creating the new look, and in these cases we work as a 'hands on' team. In all events communication is key and I keep you updated regularly and refer to you always on decisions. Contact me today and we can have an informal meeting to discuss what will suit you best. A LITTLE ABOUT ME My creative journey began at Duncan of Jordanstone College of Art, where I opted for the four year course which included a general first year, allowing me to hone my skills in fine art and illustration before specialising in Printed Textiles as my degree for the following three years.. My industry experience ranges from stationery, wallpaper & home textiles; to fashion prints, client collaboration & trend management. I reached a point in my career that I felt the time was right to take the reigns and start a creative journey of my own. I love what I do and I have so much energy for learning new things, being able to create designs to my own briefs has been a real unclipping of the wings for me. ABOUT THE BRAND Avalana is for those looking for something truly special, & for those with an eye for design.. The mission - to create truly stunning designs for the home and gift, that each tell a unique story; prints & patterns that draw inspiration from travels, folklore & nature. The brand is founded upon an accumulation of my experience within the home textiles, wallpaper & greetings industries. Each collection is lovingly created through imaginative vigour. Individual designs start life as a sketch or painting that are then carefully curated using digital methods. I love inks and watercolour, they are my go to mediums and it allows me to give a unique style to my work. But I also have a keen eye for trends and headed up the in-house trends in my last job. I think this kind of research keeps your work fresh, having an eye on the latest catwalk shows and combining that with what you are being inspired by - it could be the colours, it could be the style of artwork, it could be a particular era of time. Keeping things fresh is all about new combinations, and that's what makes being creative exciting! All of my prints are created digitally which allows me to have absolute control over the amount of detail & tones of colour in my work. Because they are hand illustrated and painted this is paramount to making them look their best when printed onto textiles. I am proud to offer an array of products from luxury velvet cushions and bespoke wallpapers, to beautiful gift items and limited edition art prints; all prints are hand painted and designed by me & all of my products are made in the UK. As a specialist in interior design consultancy, I aim to share my experience, knowledge and enthusiasm with you as you tackle your design project. This will give you the confidence to achieve your vision with optimal results. Need help with a design layout or sourcing a new bathroom, kitchen etc? I can advise on the early stages of your project and point you in the right direction. I specialise in timeless spaces that combine exciting, imaginative and fun concepts with practicality, durability and efficiency. I love variety and enjoy solving problems to unlock a home’s true potential. If required, I have a trusted team of fitters and installers who I can work closely with to deliver your project. Are you project managing the build yourself? I can act as an advisor and a sounding board for you during this process, ensuring your project runs smoothly. I position myself in your corner, offering you the knowledge and confidence to proceed with the construction phase. With over 10 years experience consulting throughout Britain and Europe, I have dealt with a huge variety of projects, contractors, challenges and surprises! I advise on an hourly, half day or full day basis with packages starting from £200+VAT for a 2 hour design consultation. I can also recommend and supply a wide range of design driven products that offer the most exciting and reliable solutions for all your build's requirements, such as kitchens, windows, flooring, wallpapers and lighting, to name but a few. 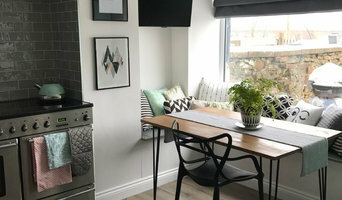 We have two other specialist arms of the business: SMART HOMES BY DESIGN - <a rel="nofollow" target="_blank" href="http://www.smarthomesbydesign.co.uk/">http://www.smarthomesbydesign.co.uk/</a> We advise on innovative smart technology solutions to give you seamless automation. GARDEN LIGHTING BY DESIGN - <a rel="nofollow" target="_blank" href="http://www.gardenlightingbydesign.co.uk/">http://www.gardenlightingbydesign.co.uk/</a> We create garden lighting design concepts that are tailored to you. As a designer, I understand that to create a bespoke interior for a client is an intensely personalised process. I balance the practical requirements and aesthetics of my clients whilst introducing them to the world of interiors they never knew existed, full of inspirational pieces and unexpected ways of achieving a truly unique environment for them to enjoy and live in. Such schemes are not easily put together. They are time consuming and involve a lot of creative thought, backed by my experience of 18 years working in the industry. When designing for my clients I blur the boundaries between interiors, art and fashion. Being an artist gives me a different perspective on things and enables me to view the same objects, be it a piece of furniture or a light like art, weaving all the elements of an interior in to a couture space. The interiors I create are not purely the result of my own imagination, detached from the real life constraints, but a collaboration between me and my clients, making the clients part of the decision making process and the end result belong to them as much as it does to me. This way I believe I achieve the best result for my clients, igniting them with inspiration and enthusiasm for their interiors. I also produce original artwork on canvas, glass, metal and slate panels with a recent addition of wall and garden sculptures. Commissions are undertaken. Feather and Paint, born in 2014, was a natural progression of a love and skill for Interior Design, craftsmanship and a unique eye for styling. Creating fun, harmonious and interesting spaces. Working with a mix of influences and being able to adapt to any space, giving it a new life and function. Working with client to create a liveable, adaptable and well loved space. Mixing clean lines and eclectic decor to create well designed spaces. Attention to detail is the key to all of this. Working with the original features, architecture and clients needs with a proven design aesthetic and varying installations. Practicality and functionality is the priority. These two closely related professions are often mistaken for the same thing, however there are some significant differences to be aware of before deciding which to hire. An interior designer, sometimes known as an interiors architect, can run full renovation and structural design projects, and will use specialised knowledge of interior architecture, construction systems and components, building regulations, materials and furnishings to arrive at your dream home design. Interior design companies are able to plan spaces and room functions down to the last detail, and can help design and renovate interiors, from initial planning phases to placing the last decorative accessory. A decorator on the other hand will typically be involved only in the aesthetic layer, the “look and feel” of a space, and won’t be able to assist in renovations that require structural work. Interior decorators normally come on board after all structural work is complete. So choose your Little Hulton, Greater Manchester interior designer according to the type of work you need. Why should I hire an interior designer in Little Hulton, Greater Manchester? They say life is what happens while you’re busy making plans. Some of us are just too preoccupied with a career and/or family to think about colour schemes, wallpaper, flooring and lighting. A professional interior designer in Little Hulton, Greater Manchester can save you bags of time, stress and months, if not years, of living in a half-finished home. It’s their job to stay on top of the latest trends and to have contacts and visual references coming out of their ears. Interior designers and decorators can also save you money, sourcing products via trade contacts or offering affordable alternatives to blowout iconic designs. How do I choose the right Little Hulton, Greater Manchester interior designer for my home? Good design and visual inspiration are all around us. Start by searching for interior architects and interior designers in Little Hulton, Greater Manchester on Houzz. Keep a lookout for images of rooms and features that you really like and save them to your Ideabooks to begin to develop an understanding of your own style and taste. If you notice that photos from the same interior design companies are popping up regularly then that is a good hint that they could be your perfect design match. You can feel most confident if you hire an interior designer or interior design company in Little Hulton, Greater Manchester that has completed work similar to the look and feel that you desire, whether that is a mix-and-match lounge oozing mid-century modern style, a pale and interesting minimalist bedroom with shots of colour, or a beautiful space inspired by Scandinavian design. How much does an interior designer in Little Hulton, Greater Manchester cost? What are some of the important questions to ask Little Hulton, Greater Manchester interior designers or interior decorators? Start searching for an interior design Little Hulton, Greater Manchester professional in your area who can bring life to your interiors and reinvent your home for you. Look through reviews, projects and ratings to decide on the best interior designer in Little Hulton, Greater Manchester for your taste and style.